Who can’t help but love Alberta? Nothing she does is small. From snowballs to fish, everything is big, especially her personality. So when her parents tell her that she soon will be a big sister, she is very excited. She waits, impatiently…. only to be quite disappointed when the eggs arrive. They are not big…they are not even large…. they are… little. When Alberta is left in charge of the eggs, she soon discovers that being a BIG sister is a very important job. ‘Yipppeeeeeee!’ she cheers knowing the eggs are safe after tricking a hungry egg thief. When the eggs do hatch, Alberta can’t help but notice that the babies are rather, well, little. 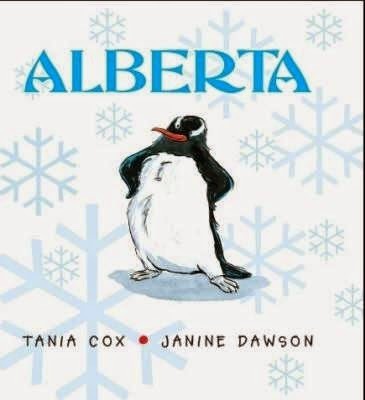 So very, very little that Alberta suddenly felt like a very, very BIG sister! Her heart skipped two tiny beats. and hugged her little sisters...in a very Alberta way. With delicate and soft pen and ink and watercolour illustrations this lovely story is a great way for parents to introduce a child into the idea of having a baby brother or sister.